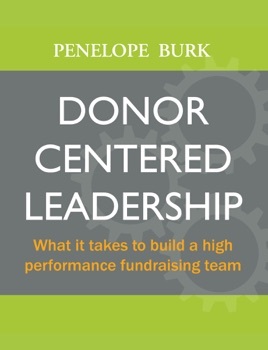 While the book speaks directly to decision-makers, Donor-Centered Leadership is also an essential resource for fundraisers at any level, including Development staff working in or aspiring to management and leadership positions. Penelope puts real numbers to the coming exodus of senior fundraisers on the verge of retirement and offers a win-win solution that capitalizes on young workers' eagerness for more responsibility and earlier promotion. Donor-Centered Leadership exposes mistaken beliefs and out-of-date practices that make it harder for fundraisers to raise money and much easier for them to move on. And it goes further to examine an issue sitting just below the surface – the role that Leadership Volunteers play in fundraising. 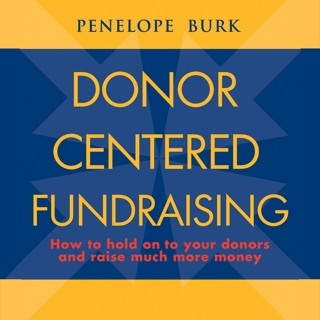 Penelope presents a riveting case for focusing Board members' attention on the things they do best and which donors say will unleash their philanthropy at a whole new level. Written in a style that is distinctly hers and with her trademark humor, Penelope draws readers through a narrative punctuated by compelling research data and real-life stories towards a conclusion that is nothing short of inspiring. Donor-Centered Leadership is a must-read for everyone in fundraising and in the not-for-profit sector.